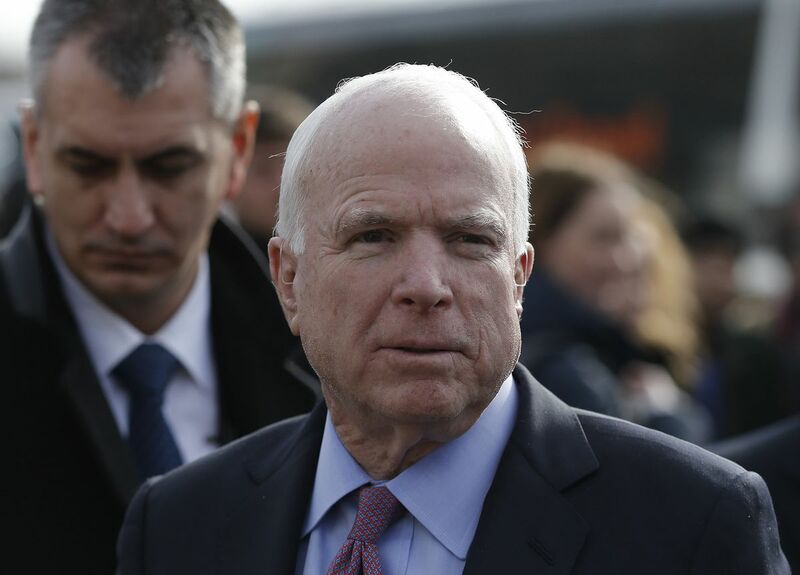 WASHINGTON – Sen. John McCain, the 2008 Republican presidential nominee known for political independence during more than three decades in the Senate, has been diagnosed with an aggressive form of brain cancer, his office said on Wednesday. McCain's doctors said he was recovering from his surgery "amazingly well" and that his underlying health was excellent. "The news of my father's illness has affected every one of us in the McCain family," McCain's daughter Meghan said in a statement on Twitter. "My grandmother, mother, brothers, sister, and I have all endured the shock of the news, and now we live with the anxiety about what comes next." She said the family was familiar with the experience of battling cancer since her father had fought it previously, and that through all of this, McCain himself was the "most confident and calm" of all of them. President Donald Trump said that "Senator John McCain has always been a fighter," adding: "Get well soon." Former Democratic President Barack Obama, who defeated McCain for the presidency in 2008, called McCain "an American hero and one of the bravest fighters I've ever known. Cancer doesn't know what it's up against. Give it hell, John." "We all look forward to seeing this American hero again soon," McConnell said in a statement. McCain, the son and grandson of admirals, was a U.S. Navy pilot. His plane was shot down over Vietnam in 1967 and he spent 5 1/2 years as a prisoner of war, suffering repeated torture by his Communist captors. One of McCain's proudest moments as a U.S. senator was working to pass legislation banning torture in 2015. Steve Duprey, a Republican National Committee member from New Hampshire who is one of McCain's close friends, said it was a "tough challenge" but that McCain had overcome adversity before. "I'm sure he will tackle this one the way he has with every other: With grit, determination and his sense of humor. And he has important work to keep doing for the country, and he will," he told Reuters.